Many families will move at least once in their lifetime. This means that the majority of families will need to sell their home at some point. It can be a stressful, confusing and challenging time trying to get a home in sell-ready condition for obtaining a higher sale amount. There are some excellent ways that professional realtors use to get their residential homes ready to sell. Some of these steps are really just commonsense. Homeowners that begin to improve their home’s appearance sooner than those who waited until the date was upon them will likely have a smoother house selling process and are much more apt to net a profitable price as well. What Are the Essential Tasks Necessary for Homes to Sell? There are a number of important steps that all homeowners should perform when desiring to sell their homes. 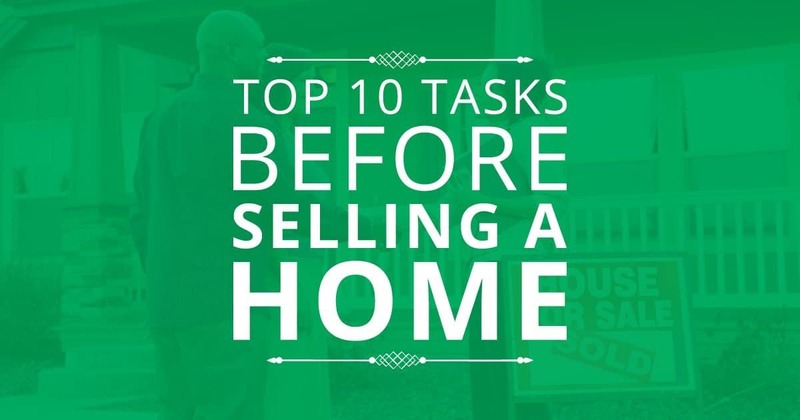 Out of these, there are some essential tasks that most experienced realtors consider necessary for homes to sell at a good listing price. The first step to take is to do a walk-through of your home to see it like a prospective buyer will see your home. Added Amenities – Pool, Hot-Tub, Gazebo etc. Going through with the above mentioned items in mind, make a list of all potential drawbacks from the eye of a neutral party. Consider having a friend do the walk through with you for better results. It makes sense to fix anything in the home that is currently broken or needs to be updated to attract more buyer interest. Believe it or not, real estate agents do just that with properties that they own. Typically, any money invested by the home seller to make the house a bigger attraction will payoff in netting a larger and faster buy offer from interested home seekers. The vast majority of prospective home buyers want a home that has newer bigger appliances like HVAC units, kitchen appliances and/or plumbing and sewage systems. Plumbing or heating problems are a huge factor in missed real estate sales. Taking the money to invest in newer systems or upgraded models will payoff in the higher sales price that could be asked. Furnaces that are not energy efficient can cause the homeowner to have continued high heating and air conditioning bills throughout the years. That being said, there are some home searchers willing to take on these older appliance woes for a lower home sale asking price. It can also be smart for homeowners to get a professional inspection performed by qualified heating, cooling and plumbing contractors. Like other areas of life, people tend to get an initial gut feeling about a property from the first impression. For homes, this is going to be what the prospective buyer sees from the street up to your doorway. Homeowners should pay special attention to the current curbside appeal and the condition and health of their yard since these are the things that a first-time visitor and potential buyer will see when pulling up in front of your property. It helps to install or build a new privacy fence that offers more security. Taking the time to spruce up your outdoor spaces can really make a huge impact on the sale of your home. If unable to perform this type of work yourself, consider hiring a professional landscaping company to perform this task. Many have reasonable prices, and a higher sale amount can more than make up for the costs. It does take a good bit of talent and skill to properly display or state a home for an upcoming open house where prospective buyers will walk through your home and property. Hiring a professional stager is a terrific option that can improve sales. However, these services might not be cheap. If going to try this on your own, at least take the time to research how this should be done well in advance of your open house date. It is possible to get your home into the best shape and ready to sell. Take time to put on a fresh coat of paint on the walls, upgrade your kitchen cabinets or add that new soaking tub in your bath. Anything that would be an enticement to buyers, focus on showing those features of your home. Added amenities like pools, hot tubs, garages, decks and more can also generate more buyer interest in your particular property. The sooner a homeowner begins this process the better the chances of a successful sale later on.